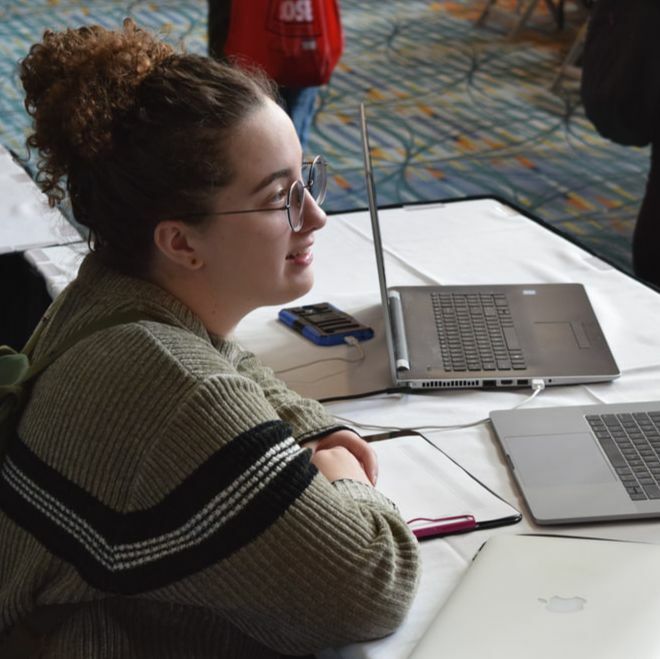 Elected at VJCL Convention every November, the VSCL Board organizes Kickoff and Finals Certamen and supports the VJCL at convention. The Member-at-Large position is selected in January. The application can be found here. Favorite Convention Experience: "We got into a spirit war with some Georgia kids at NJCL in Las Vegas. Was good time." Favorite convention memory: "Playing Latin Cards Against Humanity with my teacher and other students." Favorite Convention Experience: "I'd say winning coin wars and wearing a penguin costume as a result at CAJCL Convention last April." Fave Convention Experience: "I was a bunch of bees once." Favorite Convention experience: Jaclyn: "When I got Elliott addicted to Panic! At the Disco and then made him go with me to their concert and subsequently changed his life." Elliott: "It was my first concert evah"